Publishers have difficulty persuading readers to buy short story collections. Many readers love them, but more readers avoid them, preferring the novel. Why is this? Fiction writer Tessa Hadley suggests it is because in our culture, readers have grown used to the habit of the novel, we can pick up a novel and put it down time after time, when it opens we re-enter its world, escaping our own for a while. There’s something discontinuous about our reading relationship with short stories. At the end of each story we are thrown out of that world created by the chosen words of the author enhanced by our imagination, back into our surroundings without leaving a thread; we then enter another story and begin to build a new picture of characters, place and situations. Reflecting on this now, I wonder if that is why I liked Alice Hoffman’s ‘Blackbird House’ so much, because of the subtle connection between the stories which kept me wanting to go back for more. Or was it the writer’s style? I love this book, a unique set of short stories that traces the lives of various occupants of an old Massachusetts house over a span of 200 years, witnessing change in each family through their loved ones and the lives they live inside Blackbird House. I like reading short stories, especially in between reading novels or other more lengthy works of non-fiction. There are some short stories in particular that I adore, like the Italian writer Italo Calvino’s ‘The Enchanted Garden’ from his collection of short stories ‘Difficult Loves’. Giovannino and Serenella discover an opening in a hedge leading them into a quiet garden of flower beds, eucalyptus trees and gravel paths, it’s like a mini version of Frances Hodgson Burnett’s ‘The Secret Garden’, still a favourite today. And then there’s A.S.Byatt’s ‘Stone Woman’ from her ‘Little Black Book of Stories’ the haunting tale of a woman witnessing her own gradual metamorphosis into stone; befriending an Icelandic stone carver she returns to East Iceland, the place that will become her final resting place. For me, an avid reader, short stories are like the contents of extravagant chocolate boxes or the pick n mix gâteaux at Béchard on the Cours Mirabeau here in Aix en Provence. When I’m into reading short stories, I don’t just take one collection, I take three or four and then read a story or two from each collection, so I sample more than one writer at a time. Why do I do this? Well firstly, because for me short story collections are like ‘1001 Nights’, I don’t want the collections to end, so I slow down the process to savour the stories. Secondly, I like to sample writers from different countries, so today I might read from Nigerian writer Ben Okri’s collection ‘Stars of the New Curfew’ set in the teeming street of Lagos, or ‘Sandpiper’ Egyptian writer Adhaf Soueif’s collection about women finding themselves in countries other than their own, where language, culture and love create confusion. The collection I have now remind me that I love to travel through books both to foreign destinations and through the minds of writers from different countries and cultures as well as returning to the familiar vernacular of my country of birth. In addition to those mentioned I might dip into Elliot Perlman’s (Australian) ‘the reasons I won’t be coming’, Alice Munro’s (Canadian) ‘Friend of my Youth’; Janet Frame’s ‘The Lagoon’, Keri Hulme’s ‘Stonefish’ and ‘The Stories of Frank Sargeson’ (New Zealand writers), Indian writer Chitra Banerjee Divakaruni’s ‘Arranged Marriage’ and Jhumpa Lahiri’s ‘Unaccustomed Earth’ or Raymond Carver’s ‘What we talk about when we talk about love’ which reminds me I want to read the Japanese writer Haruki Murikami’s ‘What I talk about when I talk about running’. Then there are the slim classics ‘Dubliners’ by James Joyce who needs no introduction and Grace Paley’s ‘The Little Disturbances of Man’. And I’m happy to say, I’ve almost managed not to finish any of them – except Hoffmann’s ‘Blackbird House’ which reviewers describe as “not quite a novel and not quite a short story collection’ so I guess that one doesn’t count. And I plan to read it again anyway. In this time pressed world, one would think that short story collections are poised for a revival; after all, what better antidote for the tired, overworked individual who remembers nostalgically the enjoyment they used to get from a good book – short stories are perfect! As writer Jonathan Falla said “Good stories are not literary fast food, made on the cheap; they are intense with a flavour that expands to fill the mind.” The short story allows us in a short space of time to understand and consider momentous things, grand dilemmas. Short stories pull us into their world and shake us up. Do you read short stories? What’s your favourite collection? This entry was posted in Fiction and tagged books, creativity, culture, fiction, Inspiration, Italo Calvino, literature, love, reading, short stories. Bookmark the permalink. Munro, Murakami and Lahiri….I love these writers! Short stories require a certain kind of skill to create…I for one enjoy them. Yes, there’s an art to constructing the perfect short story and its great to find a collection where that has been achieved. I love short stories, but don’t read them as much as I used to because they just don’t seem as readily available. I thought they were a dying art. I do own a collection of “the best known and most memorable short stories by the great American writers.” Your post motivates me to pull it off the shelf! I hope its not a dying art, some contemporary writers are still putting out volumes, such as Chimamanda Ngozi Adichie’s ‘The Thing Around Your Neck’, Kazuo Ishiguro’s excellent ‘Nocturns’ and Alice Munro thankfully, but a quick search of the Guardian book section didn’t highlight much that is being written about them, for sure. I love short stories…..not to write but to read. Thanks for all the great suggestions. Tried writing one once and wasn’t very successful…but I want to get back to trying it again. I am a non-fiction writer so I really prefer to write short pieces. I have this feeling that I just might be able to do it. Enjoyed your article. Me too, love reading them and love trying to make them work writing them, the more we read perhaps the better we are able to understand how to construct, they certainly require perseverance and patience. I love writing short stories and I have been in a few anthologies, but I usually only read the anthologies I’m in or that people I know are in. I’m not sure why. My daughter is only four and she loves when I read from my anthologies of short stories. Maybe more should be geared toward kids. They prefer the short stuff. Short stories for kids sounds great, a graduation from fairy tales and an introduction to shorter forms. Great topic. I have never really enjoyed short stories but never gave it much thought as to why. This was interesting. Blackbird House sounds great though. I love Alice Hoffman and didn’t know about this book. The fact that there is some continuity in it intrigues me. I like the whole idea of telling different stories about inhabitants of a house. But yes, there is something wonderful about the novel, that you can get thoroughly engrossed in it, put it down, picking it up again and hop right back into that world. It calls to you. Short stories don’t do that for me. The discontinuous nature of a collection of short stories compared to the escapist offering of a novel could be a reason, certainly the subtle link between stories in Hoffman’s ‘Blackbird’ kept pulling me back to it, she is a great writer and I love stories and novels as much for the richness of the writing and language as the intrigue. For me, short stories are for when you are not in the mood to escape entirely into a novel, when you want to go on a bit of a literary adventure, which is why I like to read across collections. Thank you for the fabulous comments all. I love short stories. I subscribe to three magazines that publish short stories and novellas in science fiction and fantasy. There’s something beautiful about beginning the next story, the adventure of journeying into the unknown. You might have guessed, I love anthologies as well. I’m definitely making a note of the collections you’ve listed. Thank you for sharing! Wonderful to hear, do share some of your favourite anthologies, I love my short story collections and love being introduced to new authors and admire the way they manage to make a short story really work. Ah yes the novella, I’ve been paying more attention to the novella recently, particularly because it is a very popular genre here in France and got me wondering why so many books published in the english language today are 400 pages plus. I read Asimov’s Science Fiction, Analog Science Fiction and Fact, and Fantasy & Science Fiction. I love all of them. Hi Claire – your blog post got my attention as, for the first time, have just posted a short story to my blog. I think most people do very little reading in the frenetic world in which we live let a lone develop specific reading genre tastes. I remember getting into short stories when I was doing my Eng Lit degree and loved, as you say, the chocolate-box variety they bring. Definitely an art form and difficult to construct and succeed with, but good to practice and a joy to read, thanks for sharing. Something for everyone, I hope; in the writing, in the reading. Telling a stories is much like track competition. Those on short distances have to pack more into shorter space, whereas the sprinters have to pace themselves. I’m a distance writer, because it is my inclination and strength. I appreciate my sprinter sisters, who spin enthralling stories that entertain me. A marathon writer, and yet I love your short blog sprints, you certainly have the skill for both and always great metaphors, thanks for sprinting through here. Correction there… brain was set on off… sprinters are the short distancers, sheesh. Longer distance runners have to pace. Pleased you mentioned Jonathan Falla Anna, I’d only read some of his essays but I like the sound of his books, will keep an eye for them too. I see he has just published a writer’s guide ‘The Craft of Fiction’ in 2011. How wonderful to have happened upon another connection with you. Thanks so much for the grand array of short story listings. I, too, enjoy reading them between longer works of both fiction and non-fiction. I’m always looking for new authors, and your post fit the bill. I always loved short stories because I’m a lover of the essay form and put short stories in that category — the difficult task of exploring a full idea in limited space. Not a word to spare. I can never get enough Flannery O’Connor. I’ve recently returned to reading short stories, picking up some anthologies at used bookstores or returning to ones laying around the house. Your list is very helpful because I don’t know much of what’s available in modern collections. Book reviewers usually don’t cover them so I’m not sure what’s out there. The essay form – definitely – can’t wait to write more on that, Flannery O’Connor and Anne Dillard’s works were introduced to me recently and I enjoy them both. Thank you for your reflexion about the short stories. The subject is very interesting. In a world where we haven’t enough time to read, I find the short story Is a very good way to help going out of our daily. In a short time it’s possible to read a complete story and share the author’s sensibility. It’s also a good solution to invite people to read any more. Me too I live in Aix en Provence and I love your comparison with the gâteaux at Béchard ! Just I would to come back on Secret Garden. The drawings realised by you daughter are fantastic. With my best wishes for her healthy, all my felicitations for the artist. English is not my native language …. sorry in advance for my mistakes. It’s a pleasure to converse with you. Alice Munro and Michael Crummey are my favorite short story writers. Neil Gaiman’s Fragile Things (short story collection) is my fav book by him outside of his Sandman series. I think the big thing is that a short story is so difficult to execute, but when done so it is more powerful than a longer novel. Thanks for the recommendations, keep reading so much about Gaiman, must actually read his work! I don’t read many short stories but I’ll agree that it’s the perfect time for it’s revival. I do enjoy reading short stories though I don’t think I would pick one up if I wasn’t familiar with an author. Anthologies are a great way to be introduced to a wide variety of writers, and I’d often go looking for more of author’s work if I enjoyed their shorter fiction. Granta I love – new writing, fiction and non-fiction, always full of gems and great photography too. An anthology edited by Anne Enright sounds like a must, thanks for letting me know and for the link to the Barcelona review. This blog was written in 2009 by Alan Rinzler – on why publishers DO like short stories! Especially collections. Have things really changed so much in a few years? What I love is that we can now self-publish individual stories on the Kindle – haven’t done it yet myself, but at least I know that I can…. Thanks Nancy, loved this link and all its positive responses, its good to hear from those who love and support the short story genre. I don’t know that things have changed, just that there is more support out there for the novel, it’s good to see journals like Granta becoming more mainstream and popular and anthologies being promoted by already popular authors to boost the genre. Now I’m going to have to write down every story book you mentioned. I love short stories, especially pieces that are able to get as deep as most novels get in the span of just a few pieces. I feel like authors who have to be that succienct and that ready to take a plunge like that so quickly have more control over their writing for some reason. I grew up on small stories, myths and fairytales and that’s why I think I keep returning to short stories, as you say in-between novels and longer non-fiction pieces. I just love them. I definitely recommend anything by Raymond Carver, Miranda July, gosh, so many more, I’ll have to think about it. A very interesting article – thank you. Can I add one of my favourites? I love love love ‘Medusa’s Ankles’ by A S Byatt from ‘The Matisse Stories’. It’s about an elderly lady’s experiences in a trendy hairdresser’s and it makes me laugh every time I read it, which is once a year! Definitely must find that collection and add it to my list! As a writer I don’t read enough. But I prefer interconnected stories to novels. The novel in the form we see it most often is like comfort food. How many people do you see reading the wonderful work of South American authors who take great risks with the form. For me the novel as I see it today is 2 dimensional. The author has full control. Having said that I have read some books by mystery writers, science fiction writers, which try and escape the bonds of the gendre. Very interesting article and thank you for all the recommendations. I’m fond of short stories and I also love hearing them. As a child, I was told countless fairy tales and remain fascinated by myths, especially Ovide’s Metamorphosis. I’m also bound to love short stories because I love the fantastic genre. The more mysterious and atmospheric a story is the better, and when something supernatural occurs I’m hooked. It is true that writing short stories requires very good skills since it is often more difficult to write something short that is both beautiful and meaningful. I love compilation because you feel free; you can start where you want and finish the book two month later without losing the thread. Not so long ago, I really enjoyed Tennessee Williams’s compilation, Hard Candy: A Book of Stories. I read Gabriel Garcia Marquez‘s About love and other demons (I fell in love with the title). Recently, I reread Balzac’s Sarrasine. A very puzzling story about a young sculptor who falls in love with a castrato and thinks it is a woman. I’m currently reading a lot of H.P. Lovecraft, who wrote short stories exclusively (unless you count those two long ones as ‘novellas’). Also love, love, love Vladimir Nabokov – if you ever get the chance, you should read ‘Spring in Fialta’, because it’s beautiful. My favourite collection is ‘My Mistress’s Sparrow is Dead’ – which is a book of stories all about love – the twist is that each story is a very rare/obscure work by an otherwise famous writer. It was put together by Jeffrey Euginides. Great to see Italo Calvino getting a mention. Have you read ‘If on a Winter’s Night a Traveller?’ It’s a kinda post-modern take on the short story collection via ideas about reception aesthetics and massively influenced by Barthes’ ‘Death of the Author’ – it rocks. This string has provided such a grand array of authors and anthologies, many of which I am ignorant. I’m now excited about securing some of them for my own collection and enjoyment. Bless you all, and thank you, Claire, for bringing it to the forefront. You are right in your observation. I was a librarian for 30 years and short stories were a hard sell. I have read them occasionally but given my choice I’d take a novel. You don’t have to invest so much time and involvement in reading a short story (as in reading a novel) so if in the end you don’t like it, no great loss. And you tend to get lots of small scale clever things in a short story because the writer has to achieve big effects in such a relatively short space. 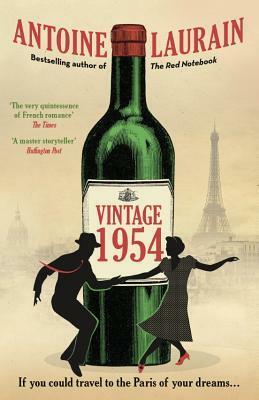 I like Peter Cameron’s stuff – instantly absorbing beginnings, original imagery, clever time shifts, endings that stay with you long after you’ve shut the book. I just discovered your blog via the Goodreads favorite book blogger contest, and this blog post caught my eye because I am a publisher of short stories. I agree completely with your views. For years, readers of fiction had not choice but the novel, since short story collections were so hard to find. Now, thanks to the Internet and new publishing technologies, readers have many choices, no matter their tastes. While the short story may never replace the novel, there are still plenty of readers out there who love the short story, enough for a small publisher like myself to make a living at it, so long as I keep the quality high and the reading experience interesting and enjoyable. That’s so great to hear and I have come across many who love short stories and are reading contemporary collections since writing this blog. Also I notice and am heartened by something of a resurgence in the novella. It makes sense when for many writers the route to publishing a novel is through the shorter form. Thanks so much for your comment. I’m a really big fan of short stories, partly for the very reason that they’re short. Often, while reading long novels I find myself longing for a quick change of pace/setting/style, and what better for that than a story? The best of them convey a world in compression, and because I have so many books still to read, I can’t very well take the time to re-read most anything. It’s rare that I’ll revisit a book, though I have done so on occasion. On the other hand, I can re-read stories, closely examine them, once, twice or ten times. I find it very helpful. My very favorite collection would have to be Anton Chekhov’s The Duel and Other Stories, published by the Ecco Press. That collection was for me a life-changing event; it changed my view of people and what a story could constitute, that a story could be simply of ordinary people and that they could be fascinating or beautiful despite first appearances. It changed my reading habits and got me writing stories myself – that’s how powerful an effect it had. Thank you for visiting my blog and taking the trouble to comment. Thank you for the Chekov recommendation, I love that you read and reread short stories and can understand the learnings and insight you no doubt get from that, sentences can teach us so much especially in terms of writing. I enjoy knowing of books that have been life-changing for people, I’m a fan of the metaphor and my favourite book is a novel, though possibly because within it are some of my favourite written paragraphs, it could have easily been a short story, because what I love about it are those sentences, the way they are written and what they evoke in me. The book is ‘The Industry of Souls’ by Martin Booth, published in 1997. I’ve tried writing a few short stories and will continue to practice, I love the learning curve, thank you so much for sharing one of your stepping stones in the journey. I’m inclined to disagree with Tessa Hadley’s view that the short story is not read as much as the novel because of discontinuity. You made a very strong point by saying that one would think in this time pressed world the short story would be revived. I personally think that short stories are not marketed well enough by publishers for the mass market and also, short stories are snippets of writing masterpieces which are not exactly entertainment, translating to less sales and therefore less marketing and publications. It’s a shame really because I do believe that a good short story collection is just the right format to get readers (who don’t normally read literary books) into reading literary books. It’s like the stepping stone one needs. The same for writers learning the craft, who are first encouraged to write, analyze and deconstruct short stories before tackling novels. I think I just died and went to heaven!! Between your blog post and all the wonderful comments submitted by your readers, there are enough recommendations to keep me reading and exploring short stories for years! As one of your readers said above, it is the close connection between the concise intensity, each word perfectly chosen and placed, which draws me to both short stories and creative non-fiction and essays. Etgar Keret’s (Israeli) The Nimrod Flipout (this is the English/American title, the title could be different in other languages). Suddenly, A Knock on the Door is good too. Keret’s stories are brief, usually 1-5 pages, and absurdist. Another personal favorite is Tim Gatreaux’s Same Place, Same Things. Gatreaux is from Louisiana Bayou country and his primary characters are the local Cajuns, who are a cunning and funny bunch. I believe many of these stories were originally pubbed in the New Yorker. A collection that came out last year, Elissa Schappell’s Blueprints For Building Better Girls is worth reading, although the women she writes about are a tough bunch. What a wonderful ode to the short story, Claire!